No listing available right now. Bradford Benton is a Fairfield County native. He has been in the real estate business since 2004. It was a natural addition to Brad's many talents to include realty in his business attaché. Brad is a graphic design artist and marketing entrepreneur, has a history with the Heating and Air conditioning business and has been the General Contractor for many "works of love" for friends and family. Brad has an astute eye for detail and pairs that with a great combination of listening to the needs of his clients and a keen sense of intuition that has resulted in his clients living in their dream homes. 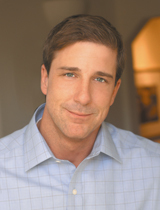 Brad is Managing Partner for The Higgins Group Fairfield County and has extensive history with business and mortgages. In 2012 Brad Benton was honored with Ct Magazine's Highest ranking in Service Overall Satisfaction and Connecticut Top Real Estate Agent 2012-2013. His expertise has been in residential listings and has also been successful in commercial property transactions as well. Bradford has many hobbies and interests. He loves fishing, boating, tennis, hiking, cooking, music, biking, traveling, scuba diving and interior decorating which is an asset to his clients. He knew that real estate was for him when his love of architecture and design compelled him to accompany friends and relatives when they were in the market for purchasing homes and doing renovations. After a short while of "chatting it up with agents" on these excursions it became clear to Brad and those who know him that a career in real estate would fit him like a glove. And for Bradford's clients..it's "white glove service all the way..no exceptions." Benton's favorite thing is working with a discerning client. He enjoys the challenge of finding the perfect home to meet the unique needs of his clients. The diversity of the people, the homes and their situations has been an eclectic array of experiences that he finds both personally and professionally rewarding.